Born in Florence in 1938, Terzani lived in Asia for thirty years with his wife Angela and their children Folco and Saskia. 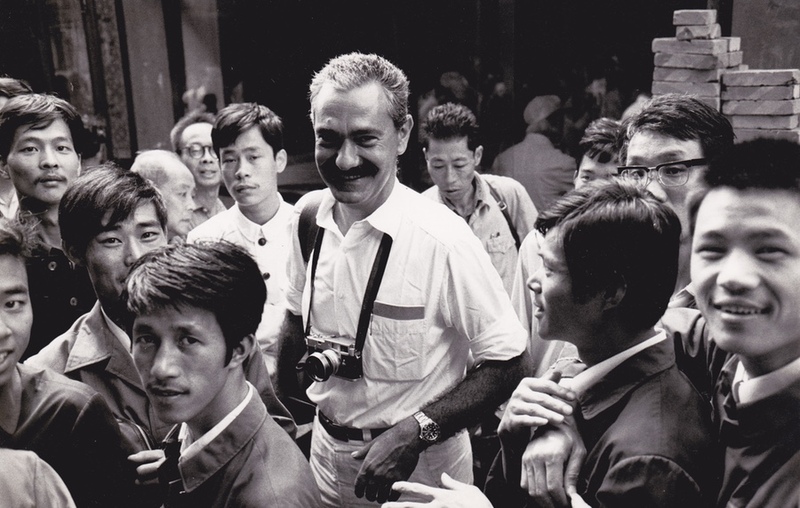 His work as correspondent for the German weekly Der Spiegel took him to Singapore, Hong Kong, Beijing, Tokyo, Bangkok and New Delhi, where he also worked as a journalist for the Italian newspapers La Repubblica, L’Espresso, and Il Corriere della Sera. He was also the author of numerous books, many of which proved highly successful and were translated and published in many languages, particularly those bearing testimony to the most monumental events of Asian history, including languages: Pelle di leopardo (1973); Giai Phong! La liberazione di Saigon (1976), La porta proibita (1984); Buona notte, Signor Lenin (1992) and In Asia (1998). His publications during the latter stages of his life stage have a more philosophical, existential slant, and include the best seller Un indovino mi disse (1995); Lettere contro la guerra (2002) and Un altro giro di giostra (2004) in which he recounts his last ‘journey': that of his battle with terminal illness and the industry that surrounds it. Terzani died in Orsigna, a small village in the Tuscan Apennines, in July 2004. In the years following his death a number of posthumous works have been published, namely: La fine è il mio inizio: Un padre racconta al figlio il grande viaggio della vita (2006), which was made into a film in 2010, Fantasmi. Dispacci dalla Cambogia (2008) and Un’idea di destino: diari di una vita Straordinaria (2014). In addition to the Vicino/lontano International Literary Prize, there are two other initiatives dedicated to his memory: Premio nazionale per la umanizzazione della medicina (The International Prize for the Humanisation of Medicine) established in Alba-Bra, Cuneo and the website www.tizianoterzani.com.